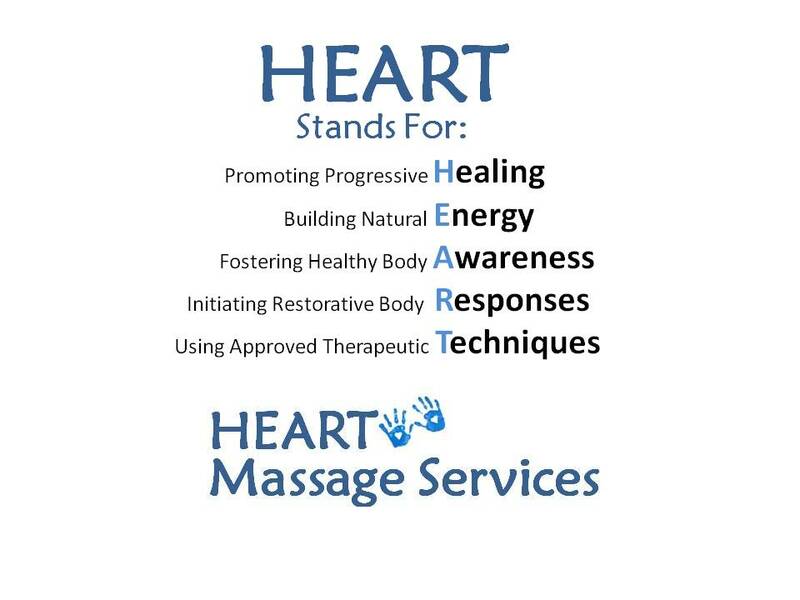 HEART Massage Services (HMS) promotes progressive healing and helps your body build its natural energy reserves utilizing soothing licensed massage practices. HMS professionals take the time to foster healthy body awareness while utilizing approved therapeutic techniques. Call us today to schedule an appointment!